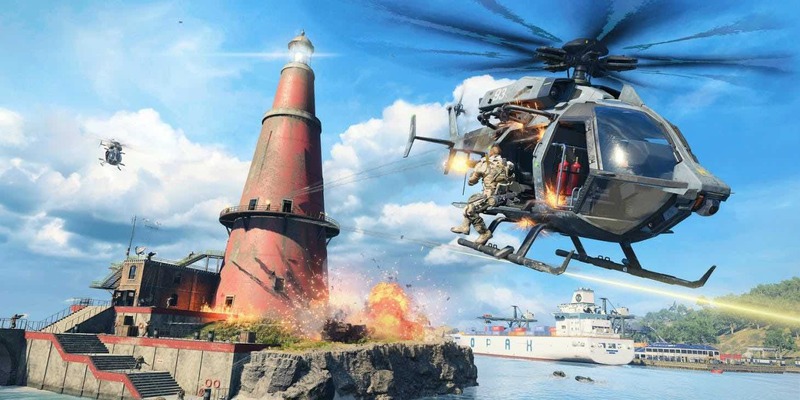 Treyarch's Call of Duty: Black Ops 4's battle royale mode, Blackout, is out now on Xbox One and PC and there are some additional changes to the way looting works so as to prevent bad apples from taking advantage of team-kills. Treyarch is still working on improving item pick-up as well. It's day five of the Blackout beta and Treyarch posted a new update on the Black Ops 4 subreddit. In addition to announcing the Xbox One and PC beta, Treyarch updated beta testers on some works-in-progress. Teamkill looting for example is being worked on to prevent teammates from looting each other after a teamkill. Players should also report teamkillers as Treyarch as a zero-tolerance for this behavior and will ban offenders. As per yesterday's update, Treyarch is still working on improving the speed of item pickups, which players say are too slow. On Xbox One and PC the beta will begin with a max player count of 80, even though on PS4 that number was raised to 88. Treyarch says it will be testing different max player counts over the next couple of days so as to optimize Blackout for launch. Blackout battle royale will release as part of Call of Duty: Black Ops 4 on October 13. Check out our Black Ops 4 guide for a full breakdown and the latest news for the next Call of Duty game.